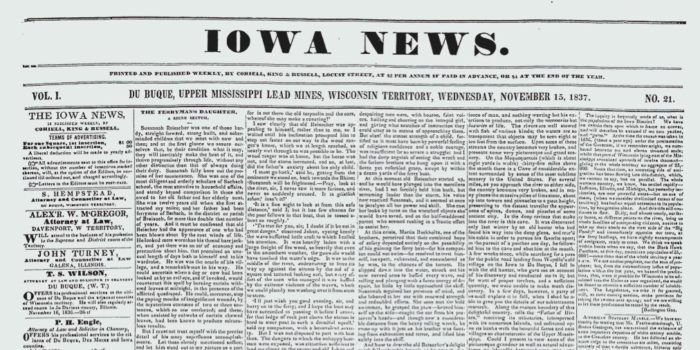 Collaborating with SHSI, libraries, schools, and newspaper publishers, we believe we can engage other like-minded Iowans to join us in our mission of preserving history as recorded in the pages of Iowa’s newspapers. …but we are especially proud of our reputation closer to home. 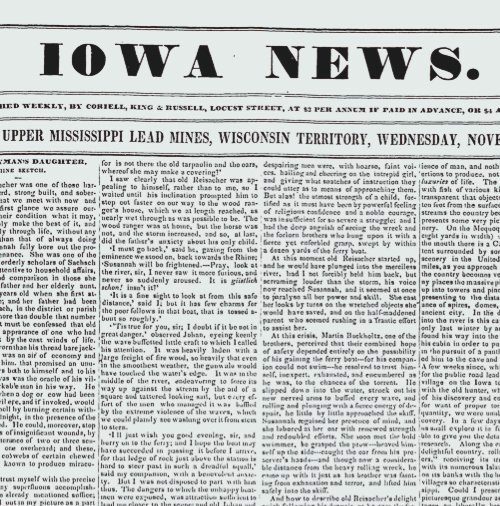 Our mission is to collaborate with Iowa publishers, libraries, educators and community leaders to actively preserve and ensure access to the history contained within Iowa’s newspapers. As Iowans, we believe that the preservation of our collective history is a shared responsibility. We want other like-minded Iowans to join the State Historical Society of Iowa and Advantage Archives in their mission to ensure that Iowa’s “first draft of history” is available for current and future generations. The Advantage Companies is an Iowa company. The owners and employees are all Iowans,.We live, work, and play right here in Iowa. We have a long-standing relationship with the State Historical Society of Iowa, and other state agencies… and a deep-rooted affinity for our history. 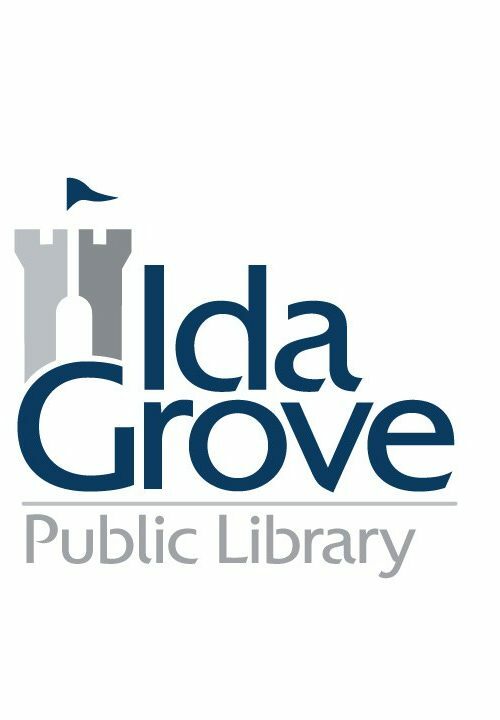 With the introduction of the IAhistoru initiative, the team at Advantage Preservation has the privileged of taking an even more active role in preserving and providing access to the “first draft of Iowa’s history”. The message and the mission is clear. “We need to ensure the preservation and accessibility of the history contained within Iowa’s newspapers”. There are so many issues that affect paper – we have records that are literally decomposing as they sit on shelves from non-controlled climate issues, insects & rodents, adhesive tape, labels, and rusting staples – so we microfilmed all paper records. 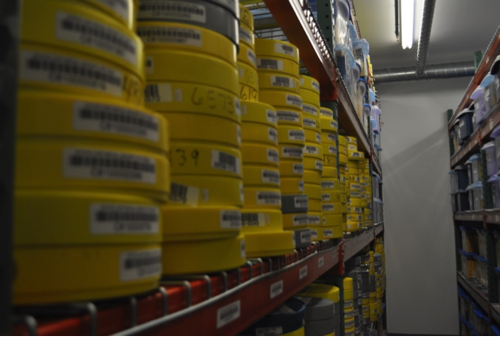 There are also issues with microfilm & microfiche – aging of film so it yellows or breaks, lack of equipment with which to VIEW the film/fiche, the rows/sleeves of fiche split & the images fall out and are lost – so we chose to convert our microfiche/film items to digital. The Registrar’s Office feels confident with our choice in keeping with technology – going digital – and with our selection of Advantage to process our conversions. 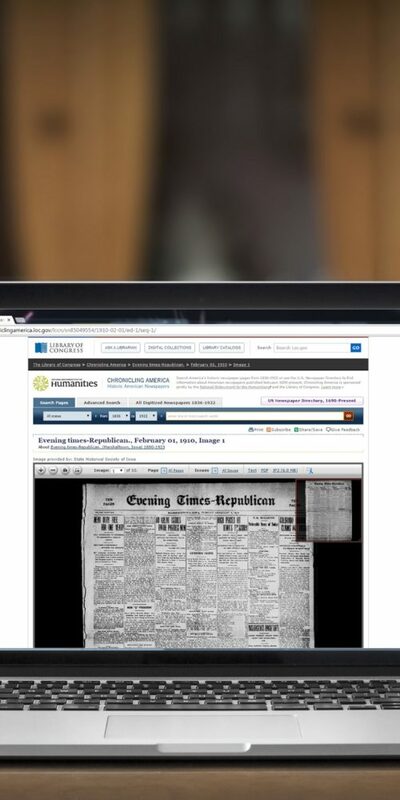 I want to tell you how excited we are with our digitization of our old newspapers. With trepidation we sent you all 42 reels of microfilm. They were returned safely and now we have this wonderful searchable database. We can search so many ways, and the best part is, with the link on our homepage, our newspapers, dating back to 1850, are available from anywhere in the world! Now when someone in Michigan wants genealogy help, they are but a click away. Thank you thank you thank you. Progress is great! Our library contracted Advantage to digitize about 90 rolls of microfilm that contained our parish newspaper, police jury minutes and census reports. We now have this material on a website that is linked to our library website making it available not only in our libraries, but worldwide. We love it. Larry Eckhardt from Advantage Companies was a huge help when our library embarked upon our first digital project. We were unfamiliar with the digital process, but Mr. Eckhardt walked us through every step. He was always available to answer any question and prompt to reply. We plan on doing more business with the Advantage Company because of Mr. Eckhardt’s quality service. We are also very happy with the quality of the digital images produced by the Advantage Company. 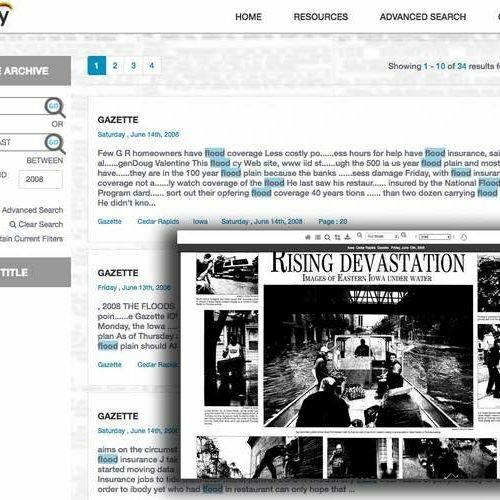 We are so pleased with our digitized newspapers from Advantage Companies. The Advantage staff were great to work with, always courteous, very knowledgeable, and above-and-beyond helpful! Larry, we are so pleased with the digitalization and search capabilities that Advantage has provided for The Hennessey Clipper. The website is a particular plus because it allows our patrons access in their own homes, and some of our patrons are researching from locations all across the United States. Advantage has made it possible for us to be 24/7 with our digital archives and has resulted in donations for additional electronic files. Thank you so much! Advantage did a perfect job of reproducing our newspapers on microfilm. The price was the best, the original papers were returned, and the microfilm was complete. Concordia Parish Library was very pleased with the service and look forward to using them in the future. © 2018 Advantage Archives. All Rights Reserved.